Jobs Description: Visit our site to check Azad Jammu and Kashmir Jobs December 2018. 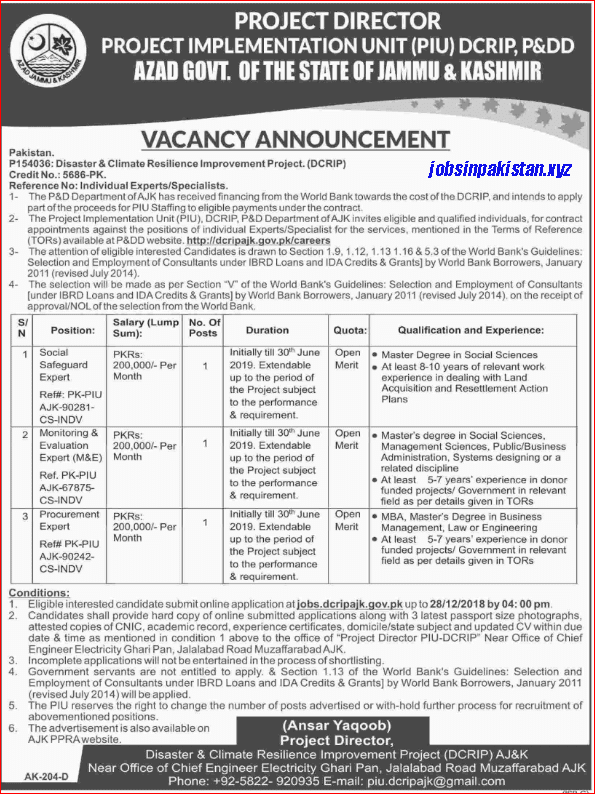 The Government of AJK recently announced an advertisement for Jobs in Project Implementation Unit. Azad Jammu and Kashmir are one of the most beautiful places in Pakistan. The Government of AJK has required the applications for following jobs. How To Apply: The interested candidates may apply online through DCRIP AJK official website.